“Gluten” is one of the dietary buzzwords that nowadays is used in and out of context. So let's try to determine how to know if you really have a sensitivity to it. First of all, gluten is not the same thing as “carbs”. Gluten is a protein found in cereal grains, especially wheat. There are breads, cereals, and pastas that are all gluten-free, so as mentioned, don't confuse gluten with carbohydrates. It is important to understand what gluten is, so that if you do have an intolerance to it – you can know to avoid it. People who are intolerant to gluten have a hard time digesting it, which causes your body to not be able to absorb other key nutrients in your food. Gluten intolerance has been linked to a long list of medical conditions. Normally, the only time gluten intolerance is paid attention to is when someone is diagnosed with celiac disease, which is a severe form of gluten intolerance that can actually lead to death. What's devastating is that millions of people who suffer from milder symptoms of gluten intolerance, are never diagnosed. The most obvious signs of gluten sensitivity are digestive issues after eaten gluten. This includes bloating, gas, abdominal pain, and irritable bowel syndrome. Gluten sensitivity can cause unstable emotional health like depression, anxiety, and sudden drastic swings in mood. Gluten intolerance can have negative effects on the brain such as dizziness, lack of focus, trouble balancing, and tingling sensations. Gluten intolerance can cause headaches and even migraines. People with gluten sensitivities may experience abnormal fatigue throughout the day, even without doing anything physically or mentally exhausting. Gluten sensitivities can cause auto-immune conditions like eczema and psoriasis to worsen. According to some physicians, fibromyalgia (skeletal pain and weakness), in which inflammation and pain can occur virtually anywhere on the body, could actually be a symptom of gluten intolerance. A difficulty processing gluten can cause issues with hormone balance, resulting in worsened PMS. Gluten sensitivity may also be a cause of inexplicable infertility. 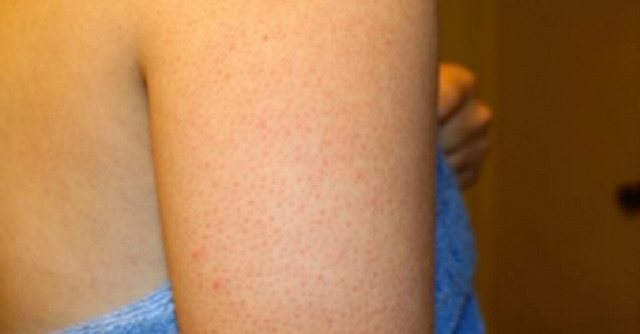 Gluten intolerance can also cause rough discolored bumps and hardened skin around the thighs, arms, and cheeks knows as Keratosis Pilaris. This happens when gluten intolerance damages the stomach. Gluten sensitivity can cause constant joint pain, inflammation, and swelling. Because gluten affects your digestive system, it affects your immune system, because 80% of your immune system is in your gut. Gluten intolerance can lead to tooth decay, tooth cracks, and gum problems. All are conditions impacted by inflammation in the body. Testing for a gluten intolerance is not standardized, unless you have full-blown celiac disease. The best method for testing whether have a gluten intolerance, is exclusion dieting. Pay attention to your food labels, and look for “gluten-free” sections at your grocery store. Since non-gluten dieting is so popular, chances are that gluten-free foods will be readily labeled.